It hasn't been a very hard winter thus far, but I was so tired of the cold. So, so tired. 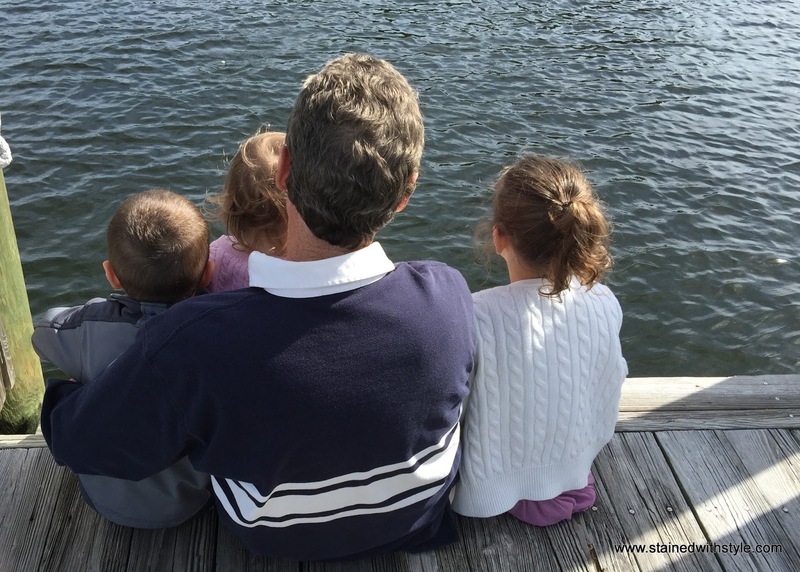 It seemed like the perfect time to take the kids to visit Grandpa in Florida! Not to mention the fact that I was still recovering from that whole appendix situation. We arrived to much better weather and it was exciting to try some new activities! 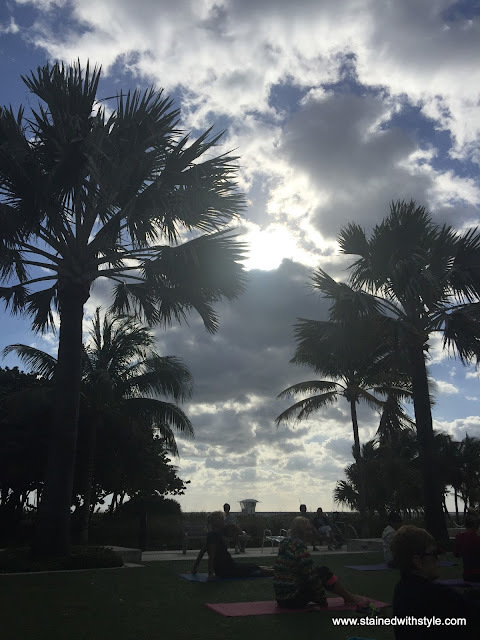 Courtesy of the Greater Fort Lauderdale Convention and Visitors Bureau, we had lots of fun. 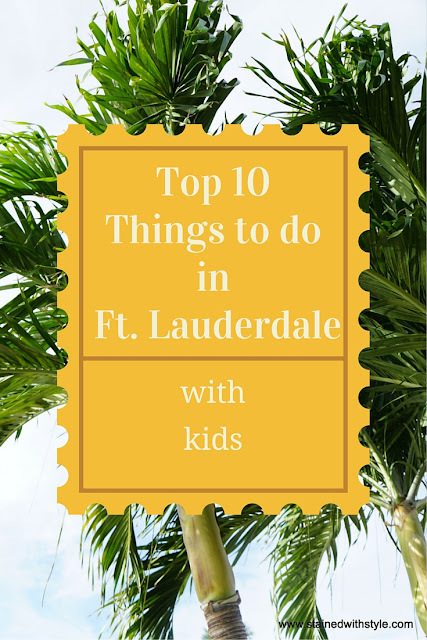 Here are some of my top suggestions for things to do with the kiddos! 1. Everglades Holiday Park. I think the everglades are a MUST see in south Florida. 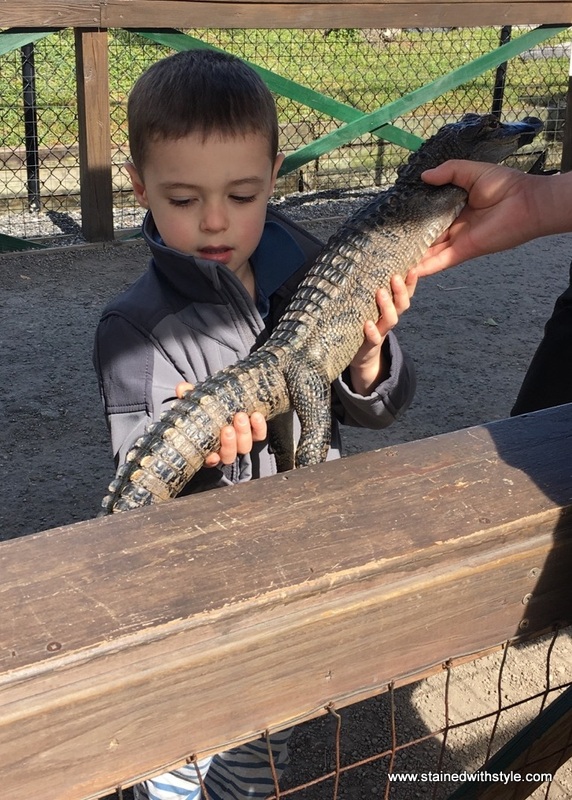 For $28 per adult and $15.50 per kid, you will get to touch a gator, see some animals, and take an airboat ride through the swamp. 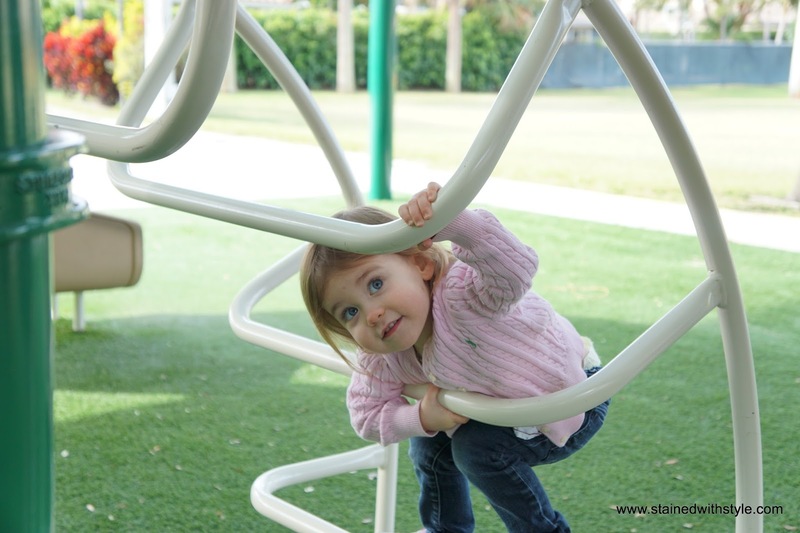 It is fun, and a great activity that takes everyone a bit out of their comfort zone. In a good way!! My kids even tried gator bites. 2. The beaches. I know, this is an obvious choice, but I recommend going to one of the smaller beach communities. They are more family friendly, and it is easier to park! For example, Pompano beach has a park, a splash pad, a snack bar, AND clean bathrooms right next to the beach. That is AMAZING. Such fun for the whole family. I LOVED free beach yoga! 3. Pirate boat. No more words are necessary, but I will give you more anyway. It's a pirate ship and you go on a treasure hunt. The kids went INSANE. It's an absolute blast with little kids, but make your reservations early, as they book quickly. 4. 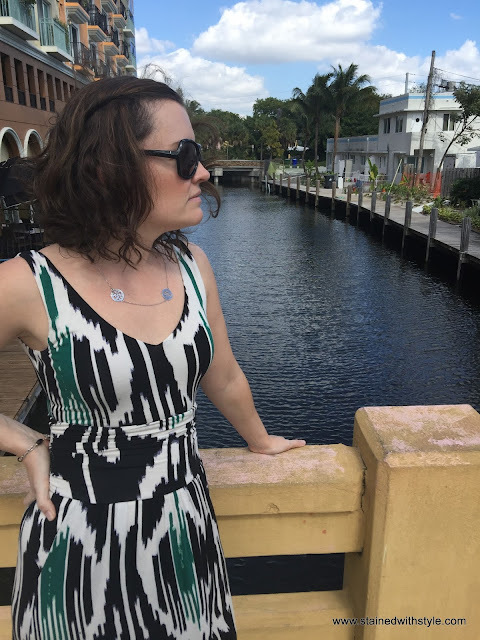 Las Olas. Las Olas is a street in the downtown area and runs straight onto the beach. It has a bunch of great restaurants. It's a nice little walk and if you go early, the whole family can enjoy a meal at a fun place without disturbing date night. At least that's what I tell myself when I'm eating dinner at 5 pm on vacation. The street is so pretty. 5. Parks. They have really great parks with amazing playgrounds. For example, I ran across a great park on after our visit to the butterfly gardens, and it was handicapped accessible. It was a really awesome park. Right across the street was another park with train ride and pony rides. I mean, it's a kiddo wonderland! Another really nice feature is that every park was covered. No worries about fair skin getting burned from the hot Florida sun. 6. Butterfly World. This is a very sweet and informative little place with an indoor arboretum and butterflies all over the place. 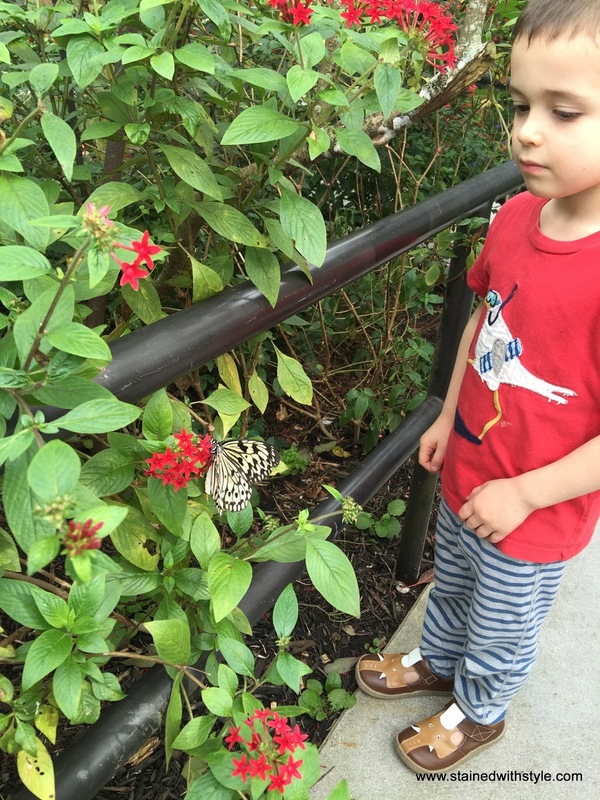 The kids had a blast not picking (who am I kidding) the flowers and watching the butterflies fly all over the place. They also had a little big exhibit with HUGE spiders and insects. Of course my son was thrilled. It's a cute little scenic place and won't take up much of your day. 7.Flamingo Gardens. 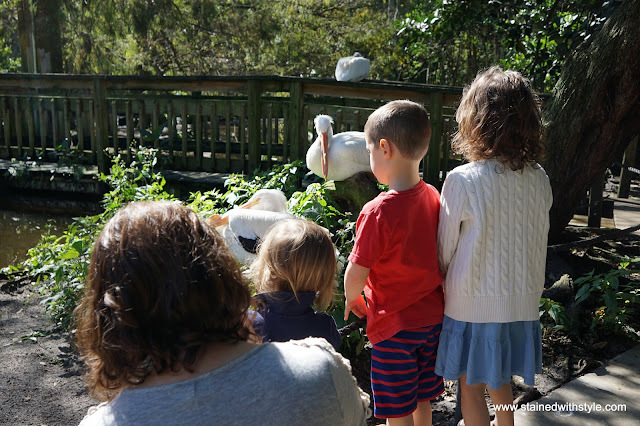 An arboretum and wildlife sanctuary with lots of birds of prey, some gators, otters, and a ton of sea birds. In fact, they have an area that you can walk through where the birds are roaming free. Let me tell you, pelicans are HUGE. It was hilarious watching my fearless Honeybadger duck around the birds and cling to me. Another neat part? The peacocks. It was mating season, so those gorgeous feathers were everywhere while the boys tried to impress the ladies. This one cracks me up...the horror!! 8. The Jungle Queen. 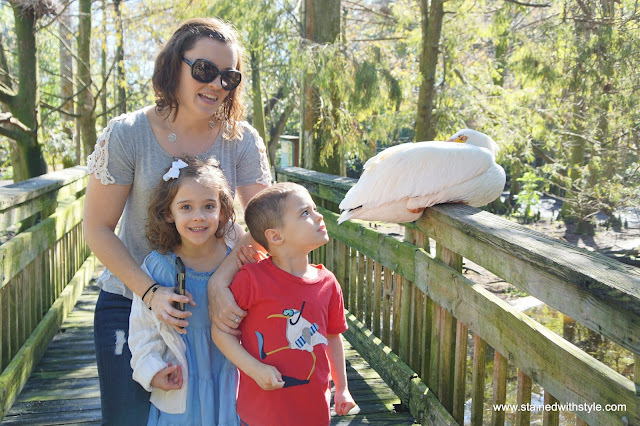 A boat ride followed by an alligator show and a BBQ. We chose the afternoon cruise, and I am thankful that we did. The ride was a bit long for the littles, but the dancing kept them pretty busy! The adults liked looking at all of the waterfront homes and the show was so fun! Don't miss the man putting his head in the gator's mouth! 9. Shopping. Ok, Ok. This isn't strictly for the kids, but they have a GREAT outlet mall called Sawgrass Mills. I LOVE a good outlet. 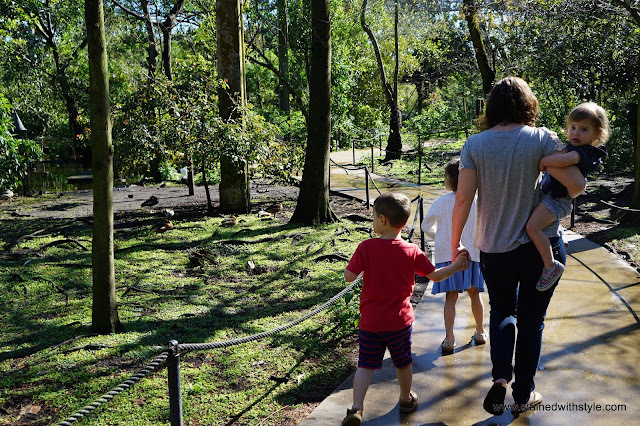 Its not far from the Flamingo Gardens, so while Daddy takes the kids to see the birds, maybe mom could have some alone time? 10. Feed the fish. Not just any fish but enormous tarpon. 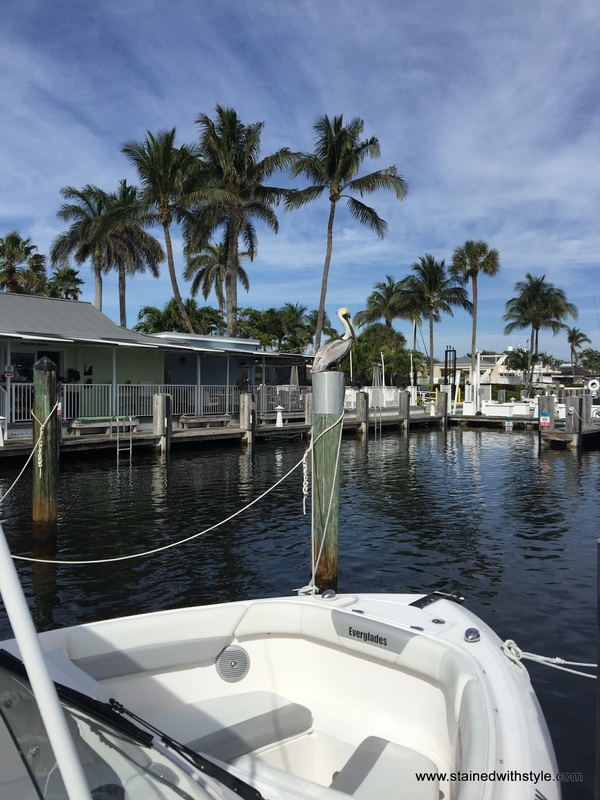 We found a small marina that the locals frequent for checking out the tarpon and then eating at the marina restaurant. The kids had a blast checking out the boats and fish, while the adults enjoyed the gorgeous scenery. I hope you enjoyed our list of fun adventures and I would LOVE to hear if you have tried any of them. Get off the beaten path, out of your comfort zone, and talk to locals. That's my formula for a fun vacation!